This topic contains 2 replies, has 1 voice, and was last updated by Larry-Control Line 3 years, 7 months ago. 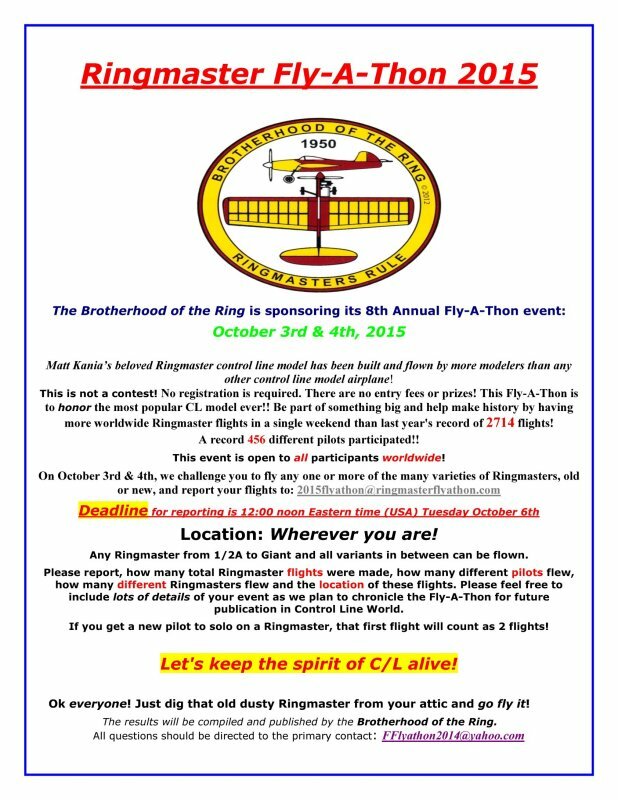 October 3-4, 2015 marks the dates for this years world-wide RingMaster Fly-a-thon. All flights and participants, along with photos, will be submitted to the Brotherhood of the Ring website. I’d post the flier here, but it looks like this forum doesn’t allow it. Here is the official 2015 Fly-a-thon flier. Click the link below to view ….